Antibiotics are a group of drugs that can inhibit the growth and development of living cells. Most often, they are used to treat infectious processes caused by various strains of bacteria. Drugs from this group of medications largely do not work in the treatment of viruses, with the exception of some tetracyclines. Bactericidal. These drugs cause the destruction of microorganisms. This property is displayed by penicillins, cephalosporins, fluoroquinolones, carbapenems, monobactams, glycopeptides, and fosfomycin. Bacteriostatic. These antibiotics are able to inhibit the synthesis of proteins by microbial cells, thus making their reproduction impossible. This effect is typical for tetracyclines, macrolides, aminoglycosides, lincosamides, and aminoglycosides. Historically, this is the first group of antibacterial drugs, which have a bactericidal effect on a wide range of microorganisms. These medications are used for respiratory infections (e.g., bronchitis, sinusitis, pneumonia, pharyngitis, laryngitis); urogenital (e.g., cystitis, urethritis, prostatitis, gonorrhea), digestive system disorders; syphilis; and skin lesions. During treatment with these drugs, allergic reactions are the most common side effect. Penicillins are also the safest medications available for pregnant women and infants. This group of antibiotics has a bactericidal effect on a large number of microorganisms. The vast majority of these medicines exist only in injectable form. 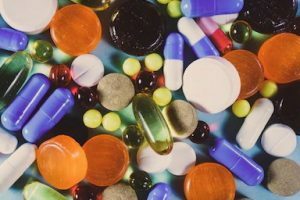 These drugs are used to treat a large number of diseases such as pneumonia, meningitis, cystitis, inflammation of the bones, soft tissues, and other pathologies. When using cephalosporins, hypersensitivity is common. Sometimes, a transient decrease in creatinine clearance, muscle pain, cough, and/or increased bleeding (due to a lack of vitamin K) may present. These are a fairly new group of antibiotics. As such, a huge number of different strains of bacteria are still sensitive to them. Moreover, carbapenems show resistance against enzymes that synthesize microorganisms. These drugs are typically used when other antibacterial agents remain ineffective. However, their use is strictly limited due to concerns about the development of bacterial resistance. This group of drugs includes meropenem, doripenem, ertapenem, and imipenem. Carbapenems are used to treat sepsis, pneumonia, peritonitis, acute surgical pathologies of the abdominal cavity, meningitis, and endometritis. Side effects include dyspeptic disorders, headache, thrombophlebitis, pseudomembranous colitis, convulsions, and hypokalemia. Monobactams act mainly only on gram-negative flora. Clinics use only one active substance from this group: aztreonam. The primary advantage of aztreonam is its resistance to most bacterial enzymes, which makes it the drug of choice when treatment with penicillins, cephalosporins, and aminoglycosides is ineffective. It is administered only intravenously or intramuscularly. Indications for the use of monobactams include sepsis; community-acquired pneumonia; peritonitis; and infections of the pelvic organs, skin, and musculoskeletal system. The use of aztreonam sometimes leads to the development of dyspeptic symptoms, jaundice, toxic hepatitis, headache, dizziness, and/or allergic rash. Macrolides are a group of antibacterial drugs that are based on a macrocyclic lactone ring. These drugs have a bacteriostatic effect against gram-positive bacteria as well as intracellular and membrane parasites. These medications are also characterized by low toxicity, which allows them to be used during pregnancy and in very young children. Macrolides are used in many bacterial pathologies such as peptic ulcer; bronchitis; pneumonia; ear, nose and throat (ENT) organ infections; dermatosis; Lyme disease; urethritis; cervicitis; and erysipelas. It is impossible to use this group of medicines in arrhythmias and failure of the renal function. This group has a bacteriostatic effect against many strains of microbial flora. In high concentrations, they exhibit bactericidal action. One of the main features of tetracyclines is their ability to accumulate in the bone tissue and enamel of the teeth. Notably, on the one hand, this feature allows for doctors to actively use them for chronic osteomyelitis, while, on the other hand, such disrupts the development of the skeleton in children. Therefore, they cannot be used in pregnancy, lactation. Tetracyclines include tetracycline, doxycycline, oxytetracycline, minocycline, and tigecycline. Tetracyclines are used for various intestinal pathologies, brucellosis, leptospirosis, tularemia, actinomycosis, trachoma, Lyme disease, gonococcal infection, and rickettsiosis. Patients should not take these drugs in the case of porphyria, chronic liver disease, or individual intolerance. 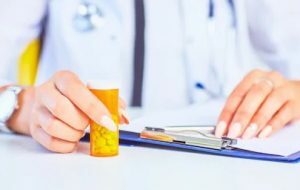 These medications are typically used to treat sinusitis, bronchitis, intestinal infections, prostatitis, gonorrhea, sepsis, tuberculosis, and meningitis. Fluoroquinolones are able to influence the formation of the musculoskeletal system; therefore, during childhood as well as pregnancy and lactation, they should be prescribed only for vital indications. Aminoglycosides have found active use in the treatment of bacterial infections caused by gram-negative flora. Notably, they have a bactericidal effect. Additionally, their high efficacy, which does not depend on the functional activity of the patient’s immunity, has made these drugs indispensable for immunity violations and neutropenia. Usually, aminoglycosides are prescribed for infections of the respiratory system, sepsis, infective endocarditis, peritonitis, meningitis, cystitis, pyelonephritis, osteomyelitis, and other pathologies. Notably, aminoglycosides can produce toxic effects on the kidneys and, during lactation, pregnancy, or in case of chronic kidney disease or hemodialysis, aminoglycosides are prescribed only for vital indications. Glycopeptide antibiotics have a bactericidal effect with a wide spectrum of action. The most famous of them are bleomycin and vancomycin. 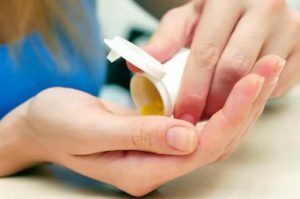 In clinical practice, glycopeptides are considered to be reserve drugs, which means that they are typically prescribed only when other antibacterial agents are ineffective. Glycopeptides are generally prescribed for endocarditis, sepsis, osteomyelitis, phlegmon, pneumonia, abscess, and pseudomembranous colitis. Patients shouldn’t use these medications in the case of kidney failure, hypersensitivity to drugs, lactation, neuritis of the auditory nerve, and/or pregnancy and lactation. Lincosamides include lincomycin and clindamycin. These drugs have a bacteriostatic effect on gram-positive bacteria and are used mainly in combination with aminoglycosides. Lincosamides are commonly prescribed for pneumonia, osteomyelitis, necrotizing fasciitis, and other pathologies. Quite often during their administration, candidiasis, headache, allergic reactions, and/or oppression of hematopoiesis may develop.